4 pcs. 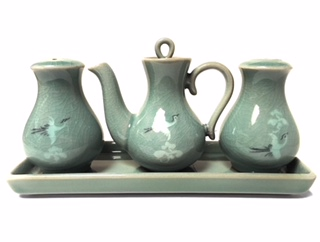 refined celadon condiment set with crane motif. Salt/pepper/sauce bottle/tray. Tray is 8 1/2" X 3".